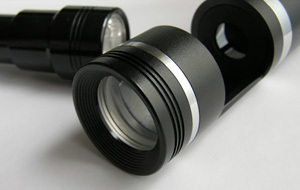 The most used gemmologist’s instrument is a 10 times magnification loupe. 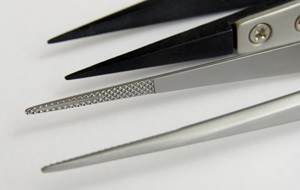 Of high quality are the aplanatic and achromatic ones, manufactured specifically for use in gemmology. The gemstone identification is basically a process of elimination. Gemstones undergo non-destructive testing until there is only one possible identity. One test to determine the gem’s identity is to measure the refraction of light in the gemstone. Every material has a critical angle, at which point light is reflected back internally. Typically, this is measured using a refractometer. Specific gravity varies depending upon the chemical composition and crystal structure type. The specific gravity is measured by comparing the weight of the gem in air with the weight of the gemstone suspended in liquid (water). The identification by spectroscopy uses a similar principle to how a prism works to separate white light into its component colours. 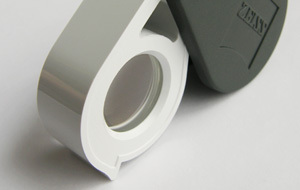 A gemmological spectroscope helps to analyse the selective absorption of light in the gem material. Colouring agents or chromophores show bands in the spectroscope and indicate which element is responsible for the gem’s colour. For identification of coloured stones we recommend the GIT lab. Prices of identification certificates vary from 30.- to 120.- USD for a single stone.